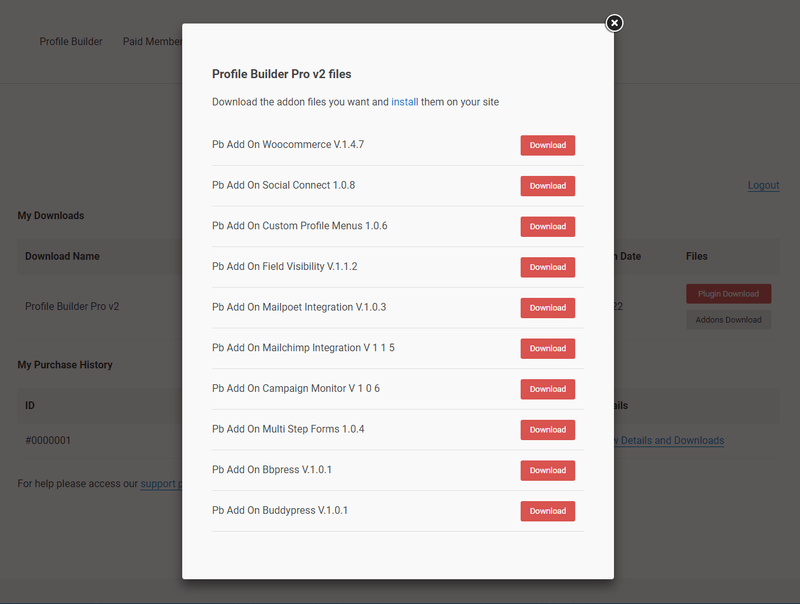 This add-on will allow you to fully integrate the popular forums plugin bbPress with Profile Builder. You’ll be able to transfer bbPress user profile to Profile Builder user profile automatically. All forum user links will be automatically redirected to the extended user profiles created with Profile Builder. Using this add-on you can replace the “Edit” user page from bbPress with the “Edit Profile” form created with Profile Builder. 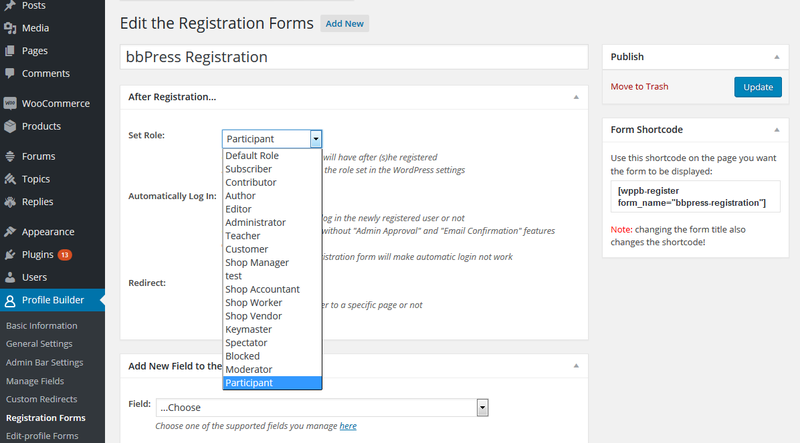 Also, you can use the extended register forms created with Profile Builder (which can also contain custom user fields) to register users for your bbPress forum. 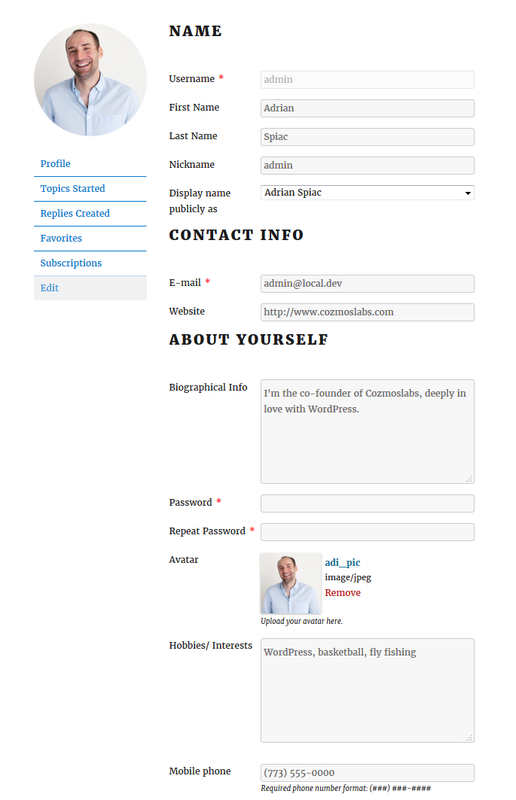 bbPress is an Advanced addon, available with a Profile Builder Hobbyist or Pro license only. After the purchase the add-on .zip file will be available for download under your Account page by clicking the “Addons Download” button. Once downloaded, you can install the addon as a normal WordPress plugin, by uploading the .zip file in your WordPress Admin -> Plugins -> Add New -> Upload Plugin. Alternatively, you can install the bbPress add-on by extracting the folder found inside the archive and uploading the entire folder via FTP to your /wp-content/plugins folder found inside your WordPress install. Once the add-on is installed and activated, under the Profile Builder menu item, you’ll notice a submenu item called “bbPress”. From here you can manage the bbPress add-on settings. The first thing you can do is link the bbPress forum user profile to the extended user profiles created with Profile Builder’s User Listing module. Basically you’ll be able to select which Single-User Listing to display instead of the default bbPress Profile tab information. 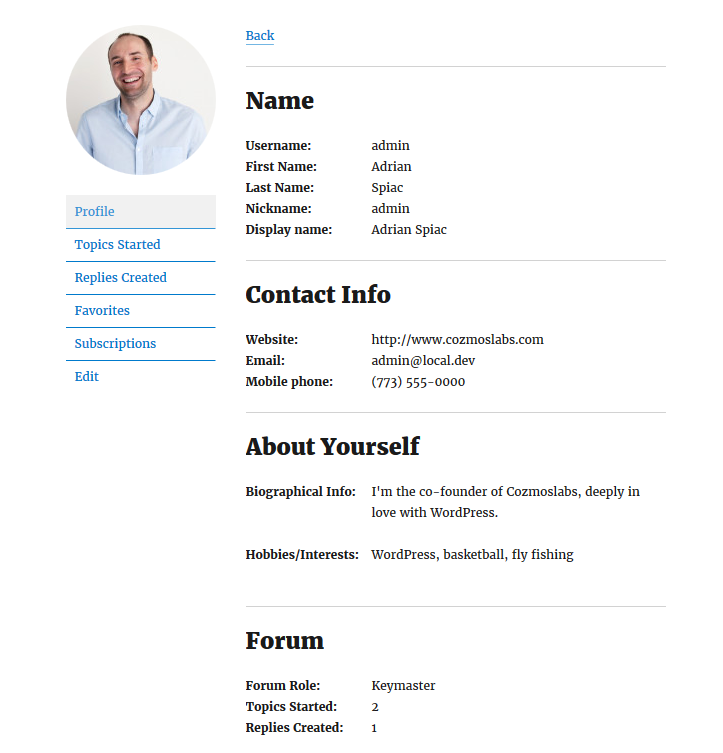 The Single-user listing template contains a default HTML template which includes user tags, that you can modify to fit your needs. This way you can display all the user information (including custom fields added via Profile Builder) and customize the user Profile view for your bbPress forum. The bbPress plugin comes with a list of shortcodes for handling user registration and login. However, you can use the Profile Builder register form for adding users to the bbPress forum. This way you can setup a detailed form which includes custom fields and collect more detailed user information (which you can then display later). The complete list of Profile Builder shortcodes can be found here. When registering users for your forum via Profile Builder register form, make sure to also assign a certain role at registration. Keymaster (slug: bbp_keymaster ) – Can create, edit and delete other users’ forums, topics and replies. Can manage Tags, and moderate a forum with the moderation tools. Has access to global forum settings, tools, and importer. Moderator (slug: bbp_moderator ) – Can create and edit forums. Can create, edit and delete other users’ topics and replies. Can manage Tags, and moderate a forum with the moderation tools. Participant (slug: bbp_participant )– Can create and edit their own topics and replies. Spectator (slug: bbp_spectator)– Can only read topics and replies. You can display the Edit Profile form created with Profile Builder under the “Edit” tab from bbPress user profile. If you have set Multiple Edit Profile Forms, you’ll have more options to pick from. Now your front-end “Edit” tab from bbPress will display the detailed Edit Profile form created with Profile Builder. Using the User listing module available in Profile Builder Pro you can create a member directory of all your forum users. If you add an Avatar field via the Profile Builder Register form, it will automatically appear in the bbPress forum. If you have the bbPress add-on active, you can also restrict forums using the standard Content Restriction features from Profile Builder.